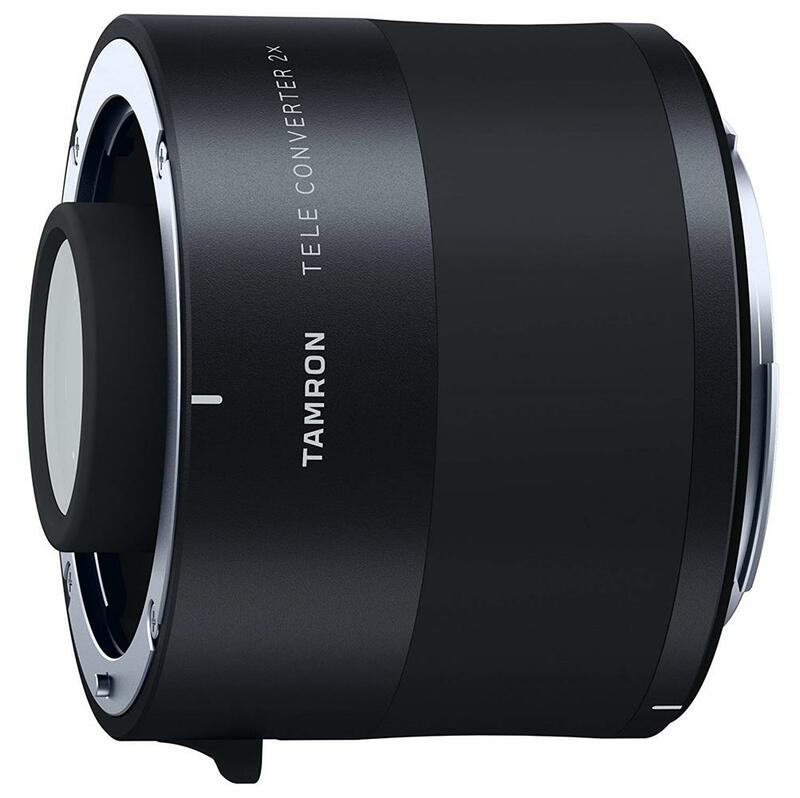 2.0x Tele converter for select Tamron lenses: SP 70-200mm F/2.8 Di VC USD G2, SP 150-600mm F/5-6.3 Di VC USD G2 & 100-400mm F/4.5-6.3 Di VC USD. TELE CONVERTER 2.0x doubles the focal length. Increases maximum focal length - Although the maximum focal length is increased, the minimum object distance remains nearly the same, so the magnification ratio during close focusing is enhanced. Designed and constructed to preserve the original superior image quality of the lens. Design Concept - Features a metal lens barrel. Release lever offers a comfortable touch to the photographer's finger. Although the maximum focal length is increased, the minimum object distance remains nearly the same, so the magnification ratio during close focusing is enhanced. Designed and constructed to preserve the original superior image quality of the lens. The 2.0x model uses one LD (Low Dispersion) lens element to suppress aberrations. BBAR (Broad-Band Anti-Reflection) coatings are deployed to help minimize ghosting and flare. Autofocus functions normally with compatible lenses. VC (Vibration Compensation) performance is maintained. Ideal for use in outdoor photography when matched with any lens that has a Moisture-Resistant Construction because special seals that are dust-resistant and moisture-proof are used at every joint and seam.